Sustainability is Alive & Well in Portland! Gary Langenwalter and I discovered a new sustainability group last week. 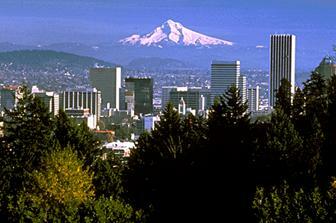 It’s entitled the Greater Portland Sustainability Education Network (GPSEN). We attended a Networking Social at Oregon Public House, the nation’s first non-profit pub on March 20, 2014. Don’t you just love Portland! Gary and I met with Dr. Kim Smith, a PCC professor of Sociology, who’s the organizer/coordinator of GPSEN just prior to the event to better understand more about the group and find potential synergy between Portland Consulting Group and GPSEN. What’s very exciting about GPSEN is that the United Nations University Institute for Advanced Studies of Sustainability has acknowledged greater Portland as a Regional Center of Expertise (RCE) on education for sustainable development (ESD). GPSEN joins a coalition of 127 RCEs around the world, striving to address sustainable development goals set by the U.N. as well as sustainability goals in our regions and organizations. There are only two other RCE’s in the United States! GPSEN is a growing cross-sector network of regional educators, students, non-profits, political and industry leaders, and community members collaborating to promote the advancement of sustainability education throughout the Portland Metro region, including Washington, Clackamas and Multnomah Counties in Oregon and Clark County in Washington. GPSEN’s mission is to increase the region’s collective impact by developing collaborative partnerships, supporting outreach, and offering formal and informal educational and research opportunities and programs that leverage our collective talents and resources to help us all achieve our sustainability education objectives. We invite you to explore how GPSEN can help you create a more sustainable, just, and healthy greater Portland region. Their next event is…. Share in our grand celebration party, with music, speakers, lovely food, international guests, and opportunities for partners to share their successes. With UNEP’s blessing, we are thrilled to have the celebration coincide with World Environment Day. To learn more about Greater Portland Sustainability Education Network please click on… https://www.pcc.edu/about/sustainability/regional-center-expertise/.